By April, GLR Advanced Recycling in Roseville plans to complete the acquisition of three new yards in southeast and mid-Michigan, including a car buying and processing operation in Battle Creek. Terms of the deal were not disclosed. GLR’s Battle Creek facility will process roughly 1,000 cars per month. The company projects the yard will add more than $4 million in revenue annually. Last year, GLR sold its paper processing and recycling facilities to on metal recycling. As a result, GLR says it doubled its profits last year. The $75 million business, founded in 1927 by Russian immigrant Henry Rosen, has become one of the most successful recycling businesses in the Midwest. Today GLR processes more than 45,000 vehicles annually. 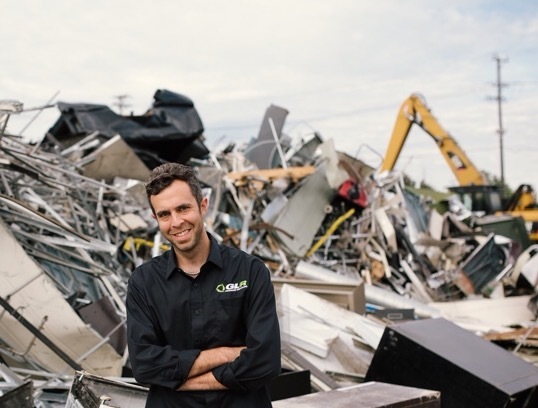 GLR recycles scrap vehicles from consumers, dealers, and auction houses, and works with a variety of automakers and automotive suppliers to recycle scrap metal from manufacturing locations throughout Michigan. Automotive recyclers supply customers with quality auto parts that on average cost 20-80 percent less than new auto parts. GLR Advanced Recycling employs approximately 100 people. The corporate office is in Roseville, and the company operates facilities in Livonia, Ann Arbor, Port Huron, Flint, Oak Park, and Battle Creek.